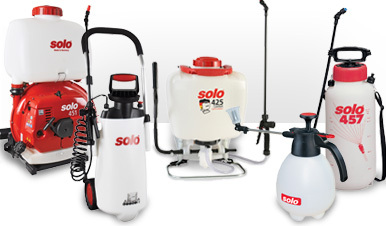 Pump sprayers from SOLO are manufactured to exacting German standards. If you are looking for a pump sprayer, garden sprayer, knapsack sprayer or spare parts, whether you work in a garden or a park, livestock farming or industry, kramp.com has a complete and varied range of motorised, electrical or manual sprayers and hand sprayers. Pioneering spirit, entrepreneurship and a dedication to innovation are the hallmarks of top brand SOLO. This German family company has been producing machines for crop protection, garden maintenance, agricultural management and forestry work since 1948. Innovation is also a priority at SOLO, but one thing that has not changed over the years is the company's focus on ease of use, optimum functionality, reliability and a long service life for its products.